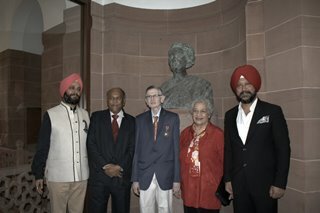 Jaya Kamlani, author and poet, was presented the Mahatma Gandhi Pravasi Samman gold medal for Literature at the House of Lords in London on September 30, 2016. The medal and certificate were presented by Baroness Sandip Verma, a member of the House of Lords, and Mr. Alain St. Ange, Tourism Minister of Seychelles. The award was instituted by the NRI Welfare Society of India. In 2016, Ms. Kamlani also received two other awards from the Government of India: the Bharat Samman (Pride of India, a gold platter) and the Hind Rattan (Jewel of India) Silver Award (a silver map of India). She is a graduate of St. Xavier's College, Mumbai, a former Silicon Valley technology consultant, and has been in America since 1969. Jaya uses storytelling to encourage introspection of how our actions impact humanity. Her debut nonfiction book, To India, with Tough Love promotes awareness of socioeconomic and environmental issues impacting India, and sustainable solutions for any country. Other books include her memoir, Scent of Yesterday and Garden of Life, a collection of her poetry. The meeting at the India House (Consulate) was held on the eve of the Mahatma Gandhi awards ceremony. 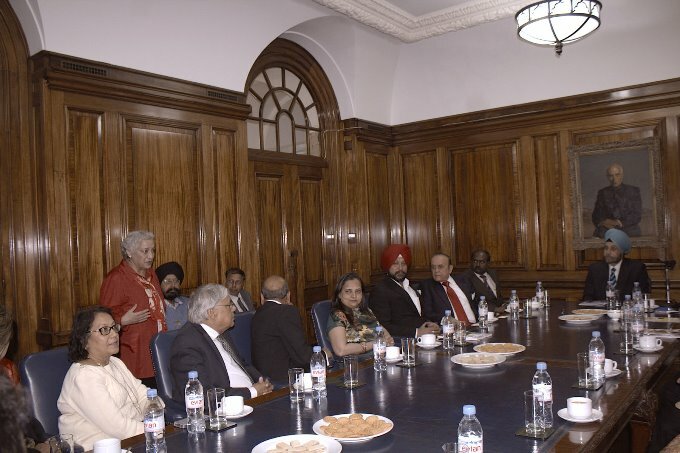 It was presided by the High Commissioner of India to UK, and a few NRI Welfare Society Board members and Consulate members. The High Commissioner is sitting at the head of the table, in a pastel blue turban. Jaya Kamlani (standing) was asked to introduce herself, so she briefly mentioned her past technology career in Silicon Valley, but concentrated on talking about her three books. That evening, she learned that the High Commissioner requested the Convener Deepak Singh for copies of all three books. At the India House (Consulate) on the eve of the Mahatma Gandhi awards ceremony. Minal Kamlani, Jaya's daughter; Deepak Singh, Convenor of NRI Welfare Society, India; and Jaya Kamlani wearing the Mahatma Gandhi gold medal award for Literature at the House of Lords, London on September 30, 2016. Author Jaya Kamlani receives the Mahatma Gandhi certificate from Gauhar Nawab, International President of NRI Welfare Society, alongside Baroness Sandip Verma and Alain St. Ange. The gold medal being slipped around Jaya's neck by Tourism Minister of Seychelles, Mr. Alain St. Ange. He and Baroness Sandip Verma, standing next to him, took turns to award gold medals to the awardees. Later, the Baroness and Jaya talked at some length about the status of women in India.